First, a disclaimer – for ten years, I worked for General Motors. I had good times and bad, and had the inside track on quite a lot of the development of the vehicle featured, but notwithstanding (or, perhaps, because of) my knowledge of its gestation, I genuinely believe it to be an incredible British success story, and one that doesn’t get the limelight it deserves. The Ford Transit may claim to be the ‘Backbone of Britain’, and 50 years of Transit vanism have no doubt propped up much of Britain’s entrepreneurism through good times and bad, but the Vivaro, at least today, is singularly more British – not least because it’s built in Luton. Luton has been through some tough times in recent years. In 2002, car production there came to an end after almost 100 years. Much like Longbridge, in the space of one business decision, generations of families found themselves without the support that the car manufacturing plant had offered them over the years, and it’s fair to say that what was once a car town suddenly had to diversify and prop up thousands of displaced workers. The difference to Longbridge, though, is that Luton folk seemed to dust themselves off much more quickly – no doubt because the burgeoning economy in the South East of England offered more opportunities in service industries. However, beneath all that, manufacturing was still a key part of Luton’s, and Vauxhall’s, future. In 2001, Vauxhall replaced the not-very-good Arena (a rebadged Renault Trafic) with the Vivaro. The tie-in with Renault, which started with a rebadging exercise to replace the Isuzu-sourced Midi, would go on to be pivotal in the future of Vauxhall Commercial Vehicles. While much of the design of the Vivaro (aka Renault Trafic and Nissan Primastar, after the Renault-Nissan Alliance was formed in 2002) was carried out by the French firm, the majority of the development and engineering was carried out by Vauxhall at Millbrook Proving Ground in Bedfordshire. From 2001, it went into production, with all low-roof variants (the mainstay of the range) being built at Luton, in what was the former K-block of the car production plant. Sheet metal pressing, in its own bodyshop, was also carried out in Luton, and many of the pressed panels were exported to Spain, where the high troof versions for all three brands were produced. The original Vivaro was a great van. Pivotal in the move to make vans so much more car-like in the way they drove, as prior to its introduction even the Transit was agricultural by comparison. 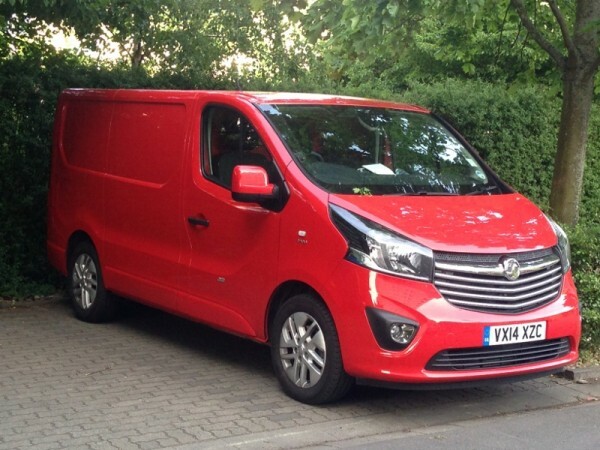 With a super-smooth ride, six-speed gearbox as standard and an immensely practical load bay, the Vivaro won many fans across all areas of industry. 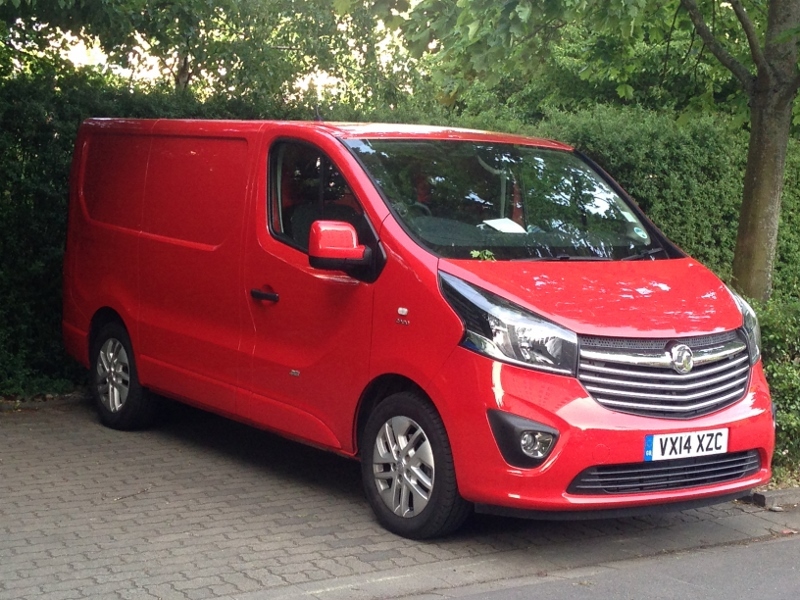 When production ceased last year, after 13 full years of production, the Vivaro still felt modern, and even looked it, too, thanks to its avant-garde bubble roof and pointed-nose styling. The 2014 replacement had a hard act to follow. 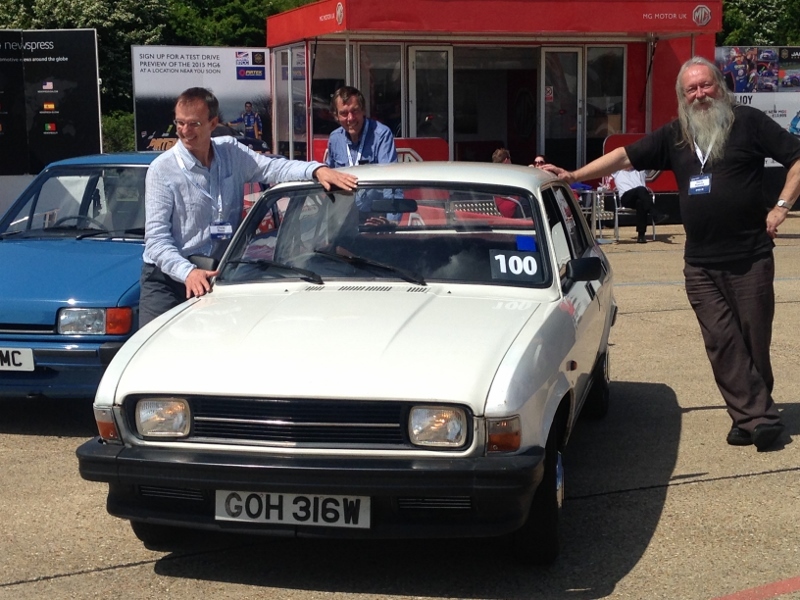 I was there back at the time the Luton plant was negotiating to build it and know for a fact that tireless work went on within Vauxhall’s top brass to attain the build contract. I witnessed negotiations and campaigning from the Vauxhall Public Policy Team working in conjunction with the East of England Development Agency and was there when an agreement was reached to build the new van at Luton, retaining production at the plant for an entire new generation of van manufacturing – no small feat when you consider the European economic situation at the time, and the fact that the UK was mired in recession. I’d left GM by the time the van hit the production line, so what I wasn’t prepared for was how good the new van actually was. I haven’t worked for the company for over a year, but I share the pride of many workers, from the factory floor to the boardroom, for making it happen – a feeling bolstered by the fact that, two weeks ago, during the course of my current employment, I was tasked with driving a Vivaro over 1,000 miles across Europe. I could have hired any van, and most of them are good these days, but the Vivaro is a genuine accomplishment. Powered by a 1.6-litre twin-turbo diesel engine, it meets Euro6 requirements by a country mile, yet still delivers effortless power (enough to hit over 100mph on German Autobahns, as we had to in order to meet our travel connections) with car-like refinement. Moreover, even though the previous Vivaro had excellent ride comfort, the new one (with 600kg of TV camera equipment in the load bay) rode even better – I can genuinely compare the way in which it soaks up road imperfections with my Jaguar XJ6, and say so with a straight face. As vans go, the latest Vivaro is up there with, if not, the absolute best. Indeed why the UK Public Sector, the Royal Mail, Network Rail and utility companies still buy the ugly, Turkish Transit by default remains a mystery when a far better, British Built rival exists. I agree. There seems that there is still an anti-UK built sentiment built around 40 year old misinformation. The Police should be buying UK built cars and often do not. I have complained but to no avail. There was a time when all public vehicles were UK sourced. Now it is rare even when we are the 7th largest manufacturing country in the world. 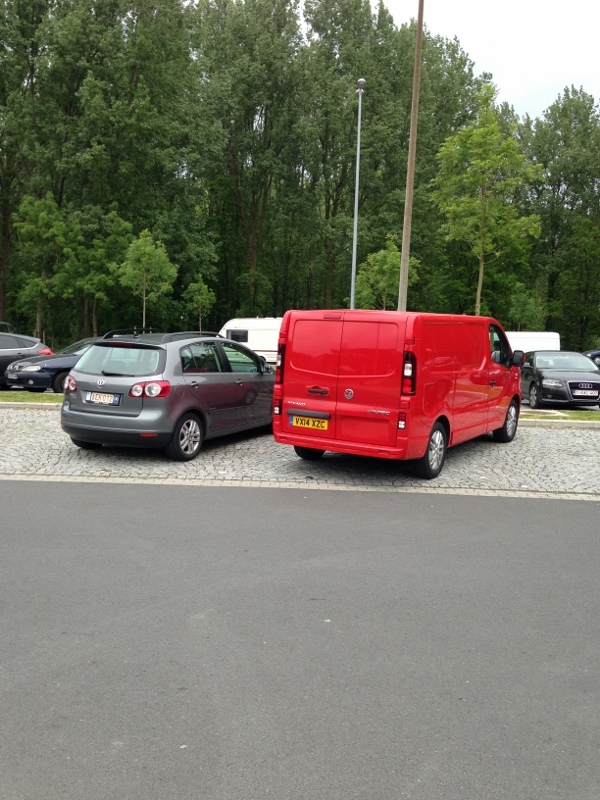 As for the Transit van the authorities cannot hide behind EU sourcing rules. Most police cars round my way seem to be Astras – they’re still built at Ellesmere Port, right? For motorway patrol cars, most forces seem to have gone back to big Volvos or BMWs. I think they tried the Jag XF for a while, but it didn’t work out. Anecdotally, I heard that Volvo gave some outrageous amount of fleet discount to UK police forces. 40% or something like that. Hard for them to ignore that kind of offer, no matter how strong their intention to “buy British”. I was told by HMG that the lack of XFs were because there were no estate versions. Now that there are, there are no excuses except price. JD power rates Jaguar very highly. The question is whether national pride is important. Personally I do not give jot who wins world cups or Olympics, however using UK built and preferably engineered cars is more important and a truer measure of national pride. Considering how little the police will be paying for their cars and how demanding they will be in terms of service support and warranty claims, I’m quite happy if the likes of BMW delve deep into their marketing budgets to subsidise our police forces’ cars! I don’t particularly want the likes of Land Rover wasting their money on that kind of activity when they’ve got genuine paying customers waiting! Besides, it’s pretty apparent that the people that have to drive the cars won’t get to choose them, so is it really a ringing endorsement of a brand when it’s being used as a police car? I agree. Whilst I used to like seeing Rover Police cars and in some way it helps the brand, I imagine now that manufacturers supplying vehicles to the Police and others will likely be effectively subsidising the services and therefore taxpayers in so doing. Strictly speaking, there should be enough of a range of British built vehicles across the Vauxhall & JLR ranges to suit Police requirements. As you say, though, cost is the big factor and wil win out at the end of the day. Have never seen an Astra Police car in Merseyside, or any other part of the north west. You get the odd token like Discovery or insignia, but they are few and far between. What is particularly galling is that Ford probably sell more Transits in the UK than the rest of the world put together. The UK is also the only European country where the Ford brand has any credibility left at all, yet they have turned their backs on the UK. Once the home of some of it largest plants it is now a remote outpost making Engines for cars assembled elsewhere – a sop until it can quietly drop production and move it to Romania or Turkey. Given the investment Nissan, Toyota, GM, Honda and BMW continue to make in the UK, Ford is an absolute disgrace! Many of Ford’s senior management had their fingers burned by the strikes at Ford’s plants in the UK, and as such looked upon in in distain. Although Dagenham build quality was better than that at both Cologne and Valencia, the UK plant was closed. It was not a cost thing either as Cologne was a far dearer plant to operate. It was basically spite. Transit production was transferred fro Southampton due to cost, as Turkey is far cheaper to produce what is a low mark up product. Problem is people still see Ford as a UK brand. Alienating the only European market that places any value on your products because of spite? You can tell its an American company. Actually considering the demolition job Ford did on Jaguar Land Rover and the way that company has thrived since Ford dumped them, the UK is probably well shot of them. The Ford Motor Company are a very well run firm with regards to profit per unit. Amongst the big three in America only Ford avoided a bailout for example. However Ford have proven time and time again to be a very cynical outfit. As soon as a model became popular they’d drop the build quality or grade of steel and paint/undersealing used to boost the profits. The quality differential between different factories were massive. A 1986 Dagenham Sierra was a different car to the Sierra built in Belgium even to the point of the boot badges crooked on the Dagenham model! The latest Transit is a prime example of this policy. I drove a new Transit a couple of weeks ago and was disgusted with the build. The A-frames flex! The panels are on the light side. I’ve a feeling the new Transit is going to end up with the reputation the 1980’s Renault Traffic justifiably earned – rubbish. Ford seem to be harping on about technology. Oh goody more electronics – on a van. Without looking too much into the details I’d safely say the new Vaux’pel is the real new Transit. Great article, Vauxhall is still making cars in the UK, whereas the market leader Ford isn’t. In fact the Vauxhall Vivaro is the only commercial van made in the uk, all Ford Transits are made in Turkey!!!!!!! Lancashire Constabulary traded in their Astras for Hyundai i30s. MG should be making a concerted push to get their 6 into forces since it is roomier, faster, handles better & cheaper than the Hyundai. Now that they have got the car sorted, they should be aware that the police are very loyal to their cars as shown by the stockpiling of SD1s & Senators back in the day. On a happier note, Devon and Cornwall Constabulary have recently replaced many of their Ford Focuses with Vauxhall Astras, which certainly does show support for British manufacturing jobs. So they should as its taxpayers money after all. When PSA closed Ryton I guess that was the end of Peugeot 406 police cars. Did nobody in the government at the time, politician or mandarin, make it clear to PSA that closing Ryton would in turn cease the purchase/lease of Peugeots in the public service? If PSA so much as thought of reducing their French factories output you’d be sure the next contract for fuzz-wagons would be going straight to Renault. I would imagine the Police fleet managers that stock piled SD1s and Senators are long since retired. I doubt current procurement strategies would see forces stockpiling Volvo V70s! Heard the stories of police forces stockpiling of Senators a few times. Did this actually happen, or is this just urban myth? It’s not as if the Omega that replaced it was radically different – it was still RWD and still available with powerful six cylinder engines. I never saw an M reg Senator that wasn’t a Police one, as the Omega was released on an L reg. Fantastic site, some great reading and history, thanks Richard! Great site. However the reason for going for non-UK cars are, I believe, less valid. If our company fleet is anything to go by our C classes, A6s and BMW X3s have all been very unreliable as is my MB C300 (in the garage for then 4th time since getting it in March). 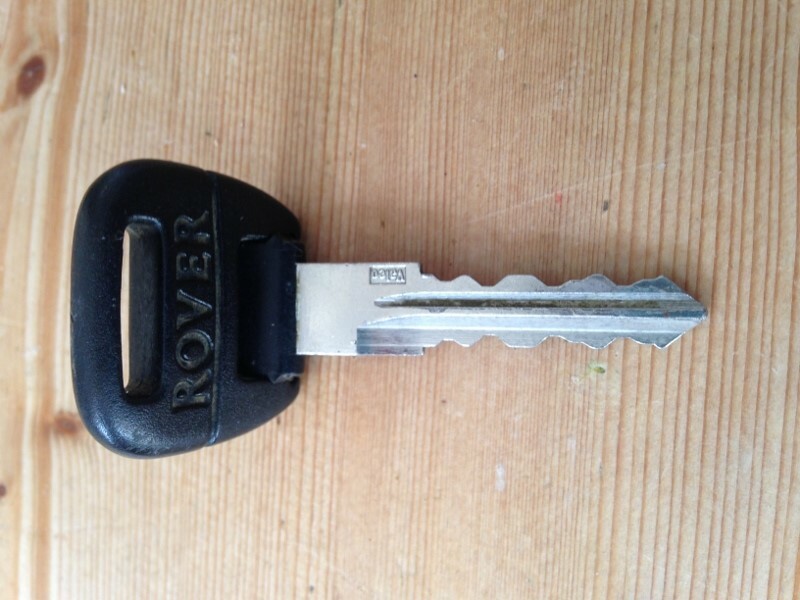 However the XFs and Land Rovers have been a paragon of reliability and economy. Certainly seems to be the case that at any one point, some manufacturers strive for quality, others rest on their laurels and let the beancounters take over from the engineers to the detriment of quality. See the rise and fall of Mercedes, Peugeot etc. And, conversely, the fall and rise of Ford, Jag, LR etc. The spec of the Vivaro mentioned in the article sounds very impressive – 100mph in a large van with a 1.6 twin turbo diesel under the bonnet. How many other van manufacturers have embraced twin turbo diesels? Are they proving to be reliable under heavy use? The most scared I have ever been in my life was on a motorway at 55mph in a Transit. I can’t imagine feeling safe in a van at a ton up. I have found it makes a lot of difference to how a van rides at motorway speeds by with what, or indeed how, it is loaded. And of course how much the wind is blowing. In my opinion the more stable vans are those with dual rear wheels. Although these days vans of that weight (more than 3.5t) are limited to 56mph I believe. How about driving over the Auckland(NZ) harbor bridge doing about 60mph with a good strong blustering side wind in a old J4 van! @ Merlin Milner, don’t forget the reliable Japanese cars that are made in Britain. Nissan can’t sell enough British made Qashqais, which are becoming even more desirable than BMWs and Audis, not to mention far more reliable and cheaper to own. Also the Sunderland made Note seems to have started to clear up in the mini MPV sector. Oh, I agree, just talking about our fleet. Wasn’t the Juke and Quasi designed and engineered in the UK? If so, Nissan is probebly the nearest equal to,JLR in the Britishness stakes. I am of an age when I remember “Bedford” Vans and trucks. Although not a Van afficianado, to me, the Vivaro does look a decent modern design at least on a par if not better than its rivals. Suits red too, so readily painted for Royal Mail use. Today I spotted a Vivaro police van in Stockport, so GMP have got the message. Royal Mail have some previous generation Vivaros based at the local depot. Why is it that in France they buy French, in Germany they buy German, in Italy they buy Italian yet in the UK we buy foreign? Not just the police but councils too. Here in Suffolk there is a fleet of brand new Mercedes gritters bought by Kier May Gurney. What’s wrong with DAF lorries made in Leyland? Re. Mercedes trucks- they are utter crap, so tend to be almost given away in the UK or nobody would buy them. It’s why big fleets like Tesco use them, just because they are cheap. While Transit production was sadly moved out of the UK, it should be pointed out that the current models were designed in Dunton and the engines come from Dagenham, so there is some UK employment involved. Yes, big UK engineering content on the Transit at Dunton, thanks for pointing that out. I did a blog post a few months ago about the police force and the cars they use, Vauxhall, leads the supplier chain to HMG, with regards to Police, Fire, Ambulance and so on, no one else came close – The Astra is a great well made British car, and it is a real shame more is not made of this achievement – Honda, Toyota and Nissan make cars here very profitably, Vauxhall does, or they would not have gotten the contract, they should be given another car to compliment the Astra. 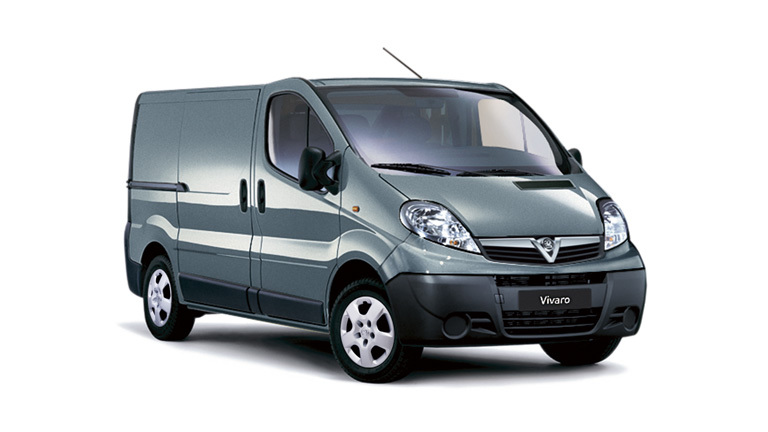 Good to read the Vivaro article, I for one have been educated because I always thought that the Vivaro was just a badge engineered Renault Trafic. I did not realise that GM / Vauxhall did most of the engineering let alone the production. Is the engine the new GM 1.6 Diesel or is it from Renault ? Thinking back, then DAF took over Leyland Trucks and Freight Rover, one of the commitments was development of a Sherpa replacement as a joint venture with Renault, so instead of Renault Trafic relative being produced in Luton, it could have been produced in Birmingham! We have 2 of the new model and 2 of the previous model within the company I work for.The new version is better equipped and seems to have more room up front, They are like driving a car so much more refined than both the Transit and Transporter both of which I have spent time with. The old Vivaro gave you an indication of the oil level every time you turned the ignition on, the new one doesn’t. The clock in my old van automatically adjusted the clock for changes to GMT and BST and also displayed the date , the new one doesn’t. The old van had a passenger grab handle, the new one doesn’t. The door lock is also on the French side so if you happen to park close to a wall and you get a flat battery you can’t open the door with a key !. The driver’s side sliding door only seems to shut if you bang it hard – several of my work colleagues seem to have the same problem (I don’t remember the old van doing that)If the door isn’t fully shut then the central locking doesn’t work. Finally the most I can get out of mine driving VERY carefully is 35 mpg, is this this the most anyone else can get ? On a positive note it does have Bluetooth, ‘leccy windows and MP3.